Interesting curry to give a try if you want something easy to cook and serve with your bowl of rice. A special masala paste is very much needed to bring the flavor to this vegan curry. No tempering is needed, even i was skeptical to give a try to this dish as tempering is a must for me. And this curry changed my mind, even without tempering this curry tastes absolutely flavourful and delicious. Drumsticks are excellent source of iron, if you want to add few more vegetables to this same curry, please go with. However i want to stick with the original recipe, hence i opted for Drumsticks. We loved this curry very much, trust me this curry is a must try as this curry is completely oil free. Grind all the ingredients given under the list 'to grind' as fine paste with enough water and keep aside. Boil the chopped drumsticks with chopped onion with a cup of water in medium heat until they turns soft. Meanwhile take the cooked dal and the coconut paste together in a vessel, heat it. Now add boiled drumsticks along with onions. Mix well. Add the drumstick cooked water,salt to adjust the consistency of the curry. Let the curry gets well cooked for few minutes. Check out the Blogging Marathon page for the other Blogging Marathoners doing this BM#88. I really like the playing and presentation. This post reminded me of my college days. The curry got a lovely color,perfect with steamed rice. That fresh masala must have added such a nice flavour to the curry. Look yum.. 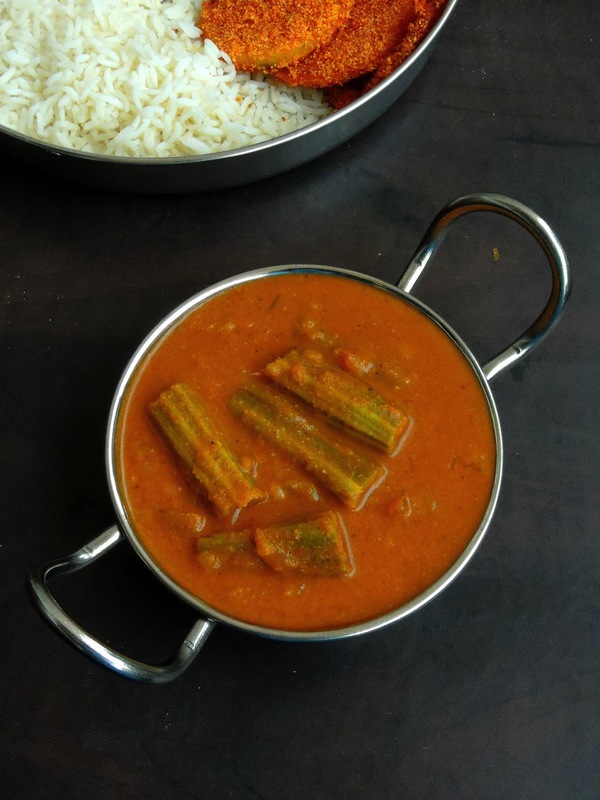 Such a fantastic curry Priya, we too love drumstick and this is something I should make for my family! 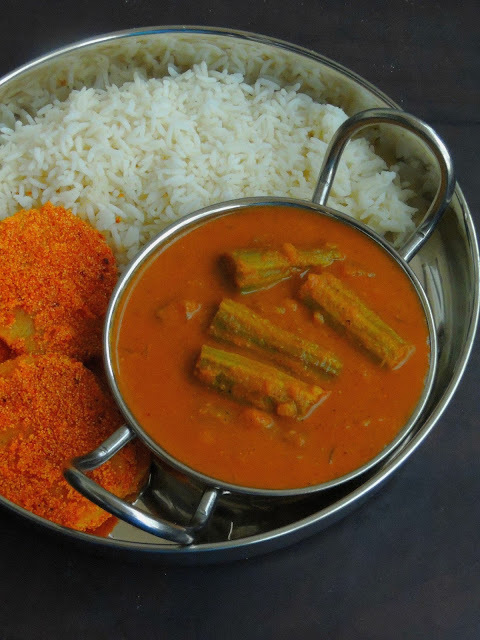 Goan drumstick curry looks fantastic. Sounds like drumstick sambar with few variations. Excellent find and the entire plate is very inviting. Beautiful cooking gravy with drumstick. The masala paste sounds so flavorful. Drumstick curry looks yummy. 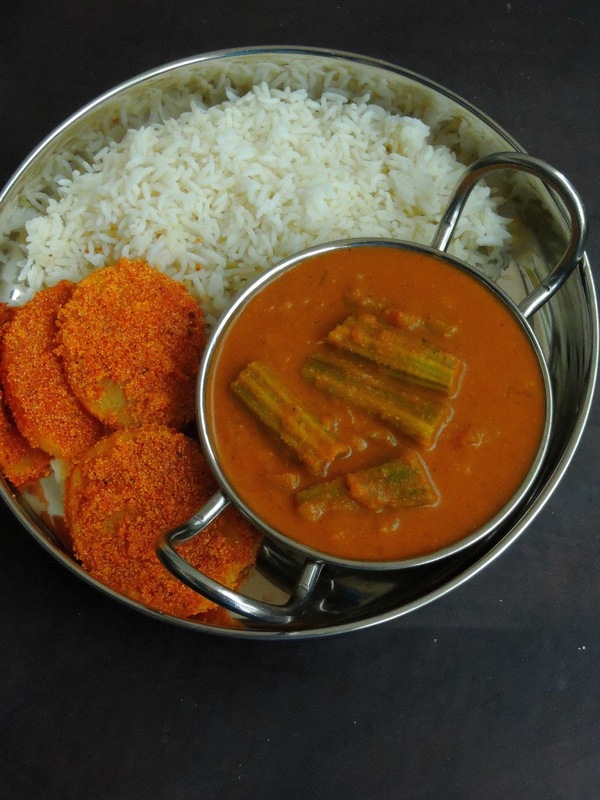 Love Goan gravy curries. Coconut gives awesome taste to the dish. That is a delicious drumstick curry Priya. Spice paste must have added so much flavor. Nice drumstick based curry from Goa and sounds flavorful too. Lovely presentation with the potato slices on the side.